We had a holiday of a lifetime and recognise that you put together an informed itinerary of accommodation variety, realistic travelling distances and good hotels. San Francisco has garnered a reputation for being everybody’s favourite city and with good reason. Like so many big cities in America, it has a number of diverse neighbourhoods, nestled on picturesque hills, which can easily be discovered on foot. 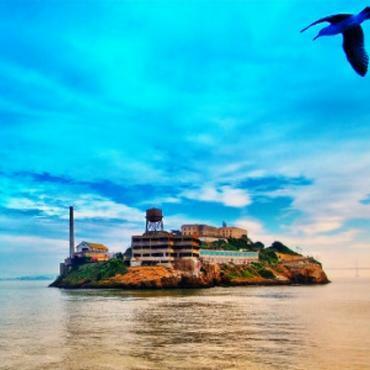 The city offers something a little different; whether it's the romance of cable cars or the awesome expanse of Golden Gate Bridge, San Fran just seems to have that extra ‘je ne sais quoi’. Perhaps the answer lies in history - and what a history this city has. Founded in 1776 by Spanish colonists, it was the California Gold Rush of 1849 that put the city on the map - making it the largest city on the West Coast at the time. Seventy-five percent of the city was destroyed by the 1906 earthquake and fire, but was quickly rebuilt. During World War II, San Francisco was a major port of embarkation for service members shipping out to the Pacific Theater. In 1945, it was the birthplace of the United Nations. During the 1960s/70s, the rise of the hippie counterculture grew from opposition to USA's involvement in the Vietnam War. The Summer of Love cemented San Francisco as a centre of liberal activism in the United States. So much of this history is still evident today. The Kimpton Sir Francis Drake hotel, for instance, was taken over during the WW II to house soldiers as they departed and returned from the Pacific. The Haight-Ashbury district, host of the Summer of Love, is still as hippie today as it was then. Then there's the almost eerie Alcatraz Island off in the distance. It was developed for use as a lighthouse, a military fortification and military prison. From 1934 until 1963, it was used as a federal prison, specifically housing inmates that had been troublesome at other prisons and were notorious for bank robbery and murder - one of the most infamous being Al Capone. The Bon Voyage team knows this city inside and out, so we can recommend how to make the most of your time here and what best to combine with it. It's an ideal starting point for a California Coast fly-drive or a stop on your way to the Hawaiian Islands. Experience all the grandeur of California and Arizona whilst staying in friendly Inns, B&Bs and smaller boutique hotels. Explore the Californian landscapes from the rugged North Coast to the stunning Yosemite National Park and the miles of golden beaches in between. Enjoy the wind in your hair experience on this relaxed fly-drive along California's Highway 1. Considered one of the world's most scenic drives. Take the roads less travelled on this fly-drive through Utah, Nevada and California. Few stretches of coastal road can compare to the Pacific Coast Highway and most islands in the world can't begin to equal the beauty of the heavenly Islands of Hawaii. The best of the Wild West complete with solitary deserts, vibrant cities, deep canyons and stunning mountain scenery. Enjoy the best of the West on this two week ride through some of Mother Nature's best work. This San Francisco Harley-Davidson holiday begins with a three day ride along the beautiful Pacific Ocean down the historic Pacific Coast Highway. On this luxury two centre holiday to Las Vegas and San Francisco you'll enjoy the delights of the Beautiful City On The Bay, mixed with the glitz and glamour of wonderfully outrageous Las Vegas. Experience the best of the Golden State on this leisurely paced motorhome holiday. Explore California from San Francisco to San Diego. Iconic cities, scenic drives and jaw-dropping national parks are the order of the day on this exciting exciting Motorhome Adventure!. 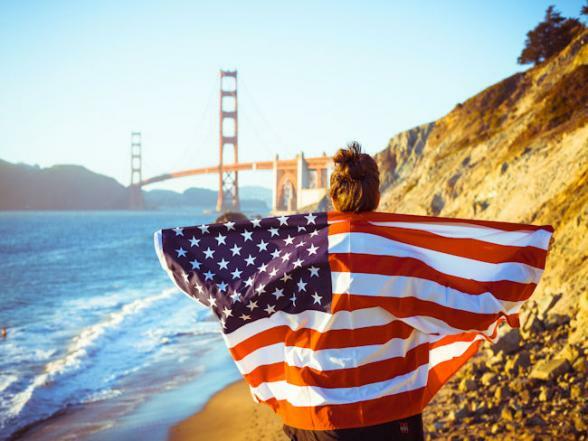 Explore the walkable city of San Francisco, discover California's popular wine region then marvel at Yosemite National Park on this incrediable mix of adventure. Discover the dramatic coastal scenery of California, Washington State and Oregon as you cruise along the famed Pacific Coast Highway on this 1,400 mile ride. Taking in two national parks, the major metropolises of San Francisco, San Diego and Los Angeles, wine country, the ocean and deserts, this diverse trip crosses three extraordinary states. All that glitters is gold on the sun-kissed shores of California. This epic tour will take you from the movie star haven of Hollywood to the urban delights of San Francisco. No holiday to California will be complete without sampling some of the finest wines in the world. There's no better way to enjoy the stunning views of San Francisco and the neighbouring wine country. Spend a day you'll remember for a lifetime when you combine two unique California experiences in one tour. GO San Francisco Card is your all access card which grants you entry to over 40 attractions! What better way to see the famous city of San Francisco from a double-decker open top bus! Departing from Fisherman’s Wharf and Union Square, this tour covers the major attractions of San Francisco by night. In the late 18th century, Spanish colonists at Carmel named this stretch of land El Pais Grande Del Sur, the Big Country of the South, and the coastline of California's Big Sur region has been attracting hyperbole ever since. Dont miss out! 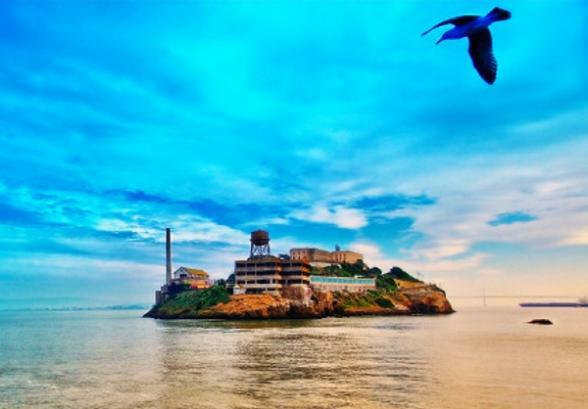 This unbelievable ticket gives you access to all the sights of San Francisco as well as the infamous awaited Alcatraz Island! Enjoy an authentic Chinese dinner in the heart of Chinatown. What better way to see the stunning city of San Francisco than from above, and from the water! Ride in style as you take an adventure through time around San Francisco in one of Mr. Toad's vintage touring cars. Each of Mr. Toad's pre-1930s vehicles run on Propane, making them Environmentally Friendly. The CityPass is a booklet with actual admission tickets to all the most famous sights in San Francisco. Best of all, the CityPass means almost 50% savings on normal entry prices! The haunting silhouette of the Farallon Islands keeps a closely guarded secret; within the rugged rocks lies the ultimate adrenaline adventure - diving with Great White Sharks. An architectural gem with contemporary decor and large rooms for San Fran. As part of the Viceroy Hotel Group, you know it's something a bit special. Bohemian and edgy, with fantastic service and superb Union Square/Theatre District location. Another gem in the Viceroy family. A Fisherman's Wharf treasure with so much character you can almost touch it. Delightfully eclectic hotel with a proper host of included amenities. Historic, iconic, vintage, classic - since 1928. Oh, the stories these walls could tell. Perched on Nob Hill, the views from this grand hotel are unbeatable.